The gramophone was invented in the late 19th century. Does it seem at all odd that it is the object mounted on a pedestal for the Grammy Award? Yes, there is certainly something to be said for tradition, but arguably that would be akin to Motor Trend giving the winner of its Car of the Year Award a hand-crank trophy. 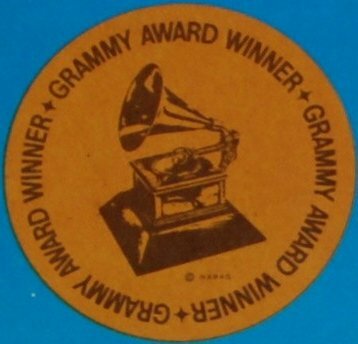 The Recording Academy, which puts on the Grammy Awards, consists of musicians, songwriters, producers, engineers, recording professionals, and quite possibly historians. And the Academy is doing its damnedest to maintain relevance for the Grammy Awards, and doing what it can to extend the franchise. The Concert Live!! will feature Maroon 5 and Luke Bryan. It will follow the one-hour live TV show (on CBS) during which the nominations will be announced. Two-time Grammy winner (and star of the CBS show “NCIS: Los Angeles”) LL Cool J and six-time Grammy winner Taylor Swift (a cover headline about Swift on the current Delta Airlines in-flight magazine: “Building the Brand of the Sweetest Girl in the Whole Wide World”) will be the hosts of the show. Of course. Perhaps this is the real reason behind the nomination show, the post-nomination concert (yes, Ticketmaster is handling it), and the televised event (February 10, 2013, 8 pm ET/PT, CBS): it helps with the ad revenue. I wonder how much the recording artists make on any of that? Well, at least there is the opportunity to get a historic artifact.